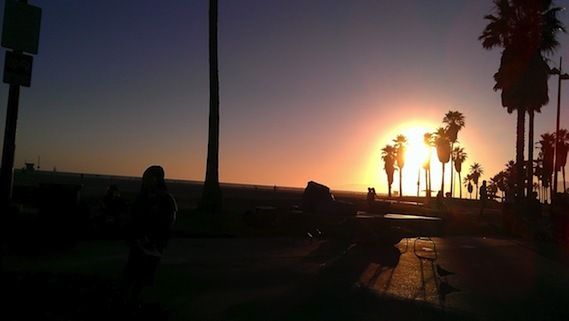 This is a long-overdue post, but I started working at Viddy and moved to LA in early June. It’s been a crazy time of initially commuting 2.3-3 hours a day until I found my apartment while working a whole lot on viddy.com. I’m the primary front-end developer on viddy.com, and so far it’s just been great. Lots of work, but great. The weather has been incredible and though I haven’t had the time to get out and about much, what I’ve seen of the area is pretty awesome. How much better can you get than a camera phone picture below I took on a Saturday evening without much thought about it at all. I’m looking forward to seeing what we can do with Viddy and where we can take it as a start up and as a company.